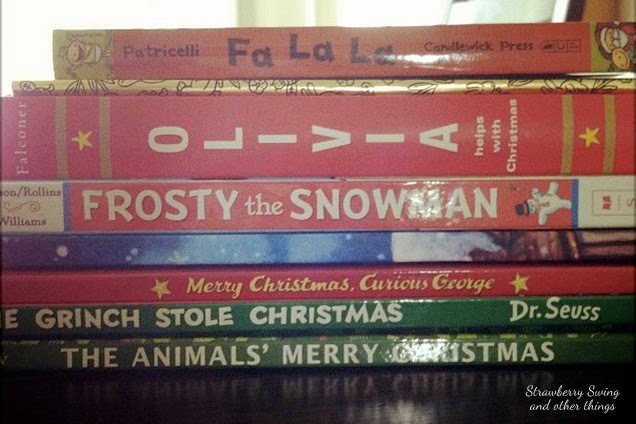 Like any one else who is a Pinterest addict, I loved the idea of a Christmas book countdown before Ashlynn was even born. I had grabbed a book or two when I was pregnant with her and a few more her first year. Last year I added some more, but with a new baby and Ashlynn only being 19 months old, we didn't really do the whole countdown thing. I kept the books out for the season and we read them occasionally. 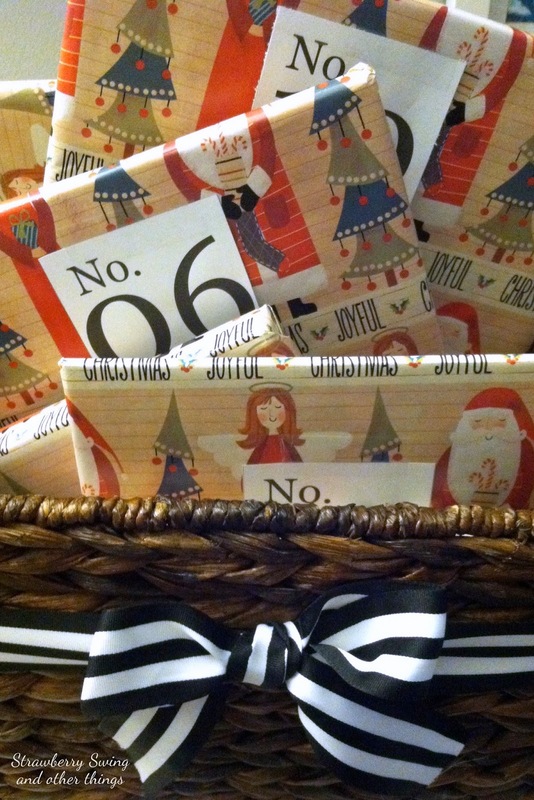 I was really excited to finally wrap them all and "countdown" this year. Except we only have 15 books. I added five more this year, but it's definitely not a cheap activity and I'd rather save some of the money for these seasonal books for other holiday gifts or books that can enjoyed year round... or diapers, you know. So my plan is take off on weekends and just re-read our favorites the week of Christmas. Kenley surely won't know the difference and I don't think Ashlynn will hold me accountable either. The Little Golden Books are definitely the way to fill in the gaps for cheap. I also found a few marked down at Home Goods. I wrapped them all using leftover wrapping paper from last year, which was a great excuse for me to buy new paper this year. Something I would do regardless, any one else have to get new paper each year?! And I used this free printable from Jenny Collier's blog. And the nine I hope to add! What is your favorite classic Christmas book? I love this idea, but 25 books are hard to come by!! :) We have a solid collection, but I am going to add a few from your list! Thanks for sharing! Don't laugh when you see this exact post on my blog next week! (It's already written in my draft posts.) We are doing the '12 books of Christmas' but hopefully we'll get up to 25 some day :) I know Odette is too young to care anyway, so it worked out! I picked up a few new books from amazon for under $3 a book and free shipping with Amazon prime! Such a cute idea! I love collecting Christmas books! I've always loved this idea too, but thought it would be expensive. When I was teaching I always added one or two holiday books to my collection for a holiday each year, so I have quite a few but still not close to 25! I think taking weekends off and re-reading your favorites is a great plan. I'm sure with sales you'll have all 25 in a year or two! I like "theres always room for a little one" -- when i was little we always read the christmas story (straight from the bible no less) before we were allowed to open presents. i'm a little more lax and let it slide with just a regular book. claras scholastic flyer from school had great deals -- i just ordered 30 books (well -- 3 sets of the same 10) for $45 to give as gifts to the kids at our mommy group. Have you read Jan Brett's "The Night Before Christmas?" That's a great one. Other favorites we read in my classroom are "The Gift of Nothing" by Patrick McConnell, "Snowmen at Night," by Caralyn Buehner, "The Gingerbread Baby," by Jan Brett, and "The Snow Globe Family" by Jane O'Connor. We have some on your wish list and LOVE them and love some of the ones on your list but don't have them yet. I used pretty much all the same books that I used last year with the exception that I bought The Little Blue Truck's Christmas book. I think I may love it more than Mason and I would highly recommend it!